Unlike last week’s Salad Niçoise, which came in just under the wire, I made this week’s recipe early. Really early. Like almost three years early. Having tried and loved Dorie’s Go-to Beef Daube, I couldn’t wait to try this version of pot roast. 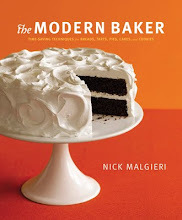 So I first made it and blogged about it back in January, 2011, long before it came up in the French Fridays rotation. You can see the original Boeuf à la Mode post, complete with process photos, here. But looking over the post myself the other day, I knew I wanted to make it again. Add to that the fact that we just had a side of the most delicious beef I’ve ever tasted delivered, and it was a no brainer. Rather than marinate the beef and vegetables overnight, I used my FoodSaver Quick Marinator, which did the job in 20 minutes, while I was getting everything else ready. Dorie’s recipe calls for lots of pans and moving things back and forth between them. I’m a lazy cook, so I always look for ways to eliminate extra steps or dirtying needless piles of dishes. I strained the marinade into a saucepan to reduce, then browned the meat, softened the vegetables, and melted down the anchovies all in the Dutch oven that I used to cook the whole thing. After browning the beef, I removed it to a plate, then added the vegetables to the pot (no dumping out and replacing oil here). When the veggies had softened sufficiently, I added the anchovies and tomato paste to the pot, along with a splash of the marinade and stock mixture. 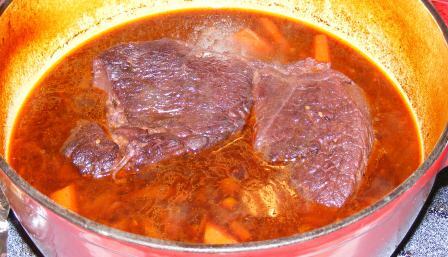 I cooked that until the anchovies and tomato paste were mixed in, then added back the beef and poured in the rest of the marinade/stock. I have this wonderful mushroom stock base that I got on clearance at Williams Sonoma, so I used that in place of beef stock. Finally, out of pantry necessity, I used bourbon instead of Cognac. This dish was as good as I remembered. Even dad, whose idea of the perfect pot roast is one cooked to mush in the crock pot with cream of mushroom soup and dried onion soup mix, said it was delicious. And the dogs had no complaints about the wee bit of broth drizzled over their evening kibble. This post participates in French Fridays with Dorie. Check out the website to see what the other Doristas thought about this recipe. This week’s French Fridays with Dorie recipe was a perfectly simple, perfectly composed, and perfectly delicious salad. See, what did I tell you? Perfect. 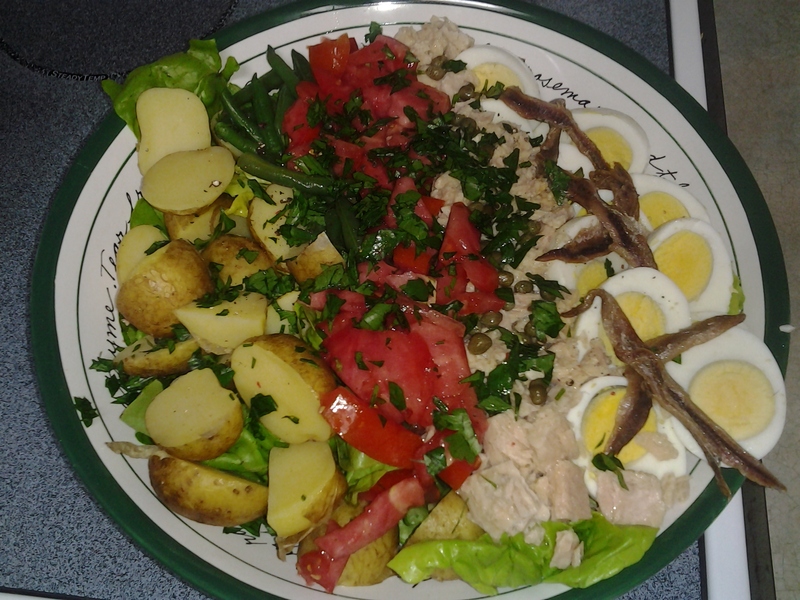 This salad featured Bibb lettuce, parsley, boiled potatoes, hard-cooked eggs, steamed green beans, tuna, tomatoes, capers, Niçoise olives, homemade vinaigrette, and, the star of the show, anchovies. Although there were quite a few ingredients, and the potatoes, beans, and eggs had to be prepared ahead, the salad came together very quickly with minimal fuss and almost no clean up. It might not surprise you to learn that we served this for lunch while the kids were away at school. We all really enjoyed this salad. It was pungent, salty, and quite filling, in that wonderful, salad-full sort of way. Another keeper from Dorie to start out year four of French Fridays.